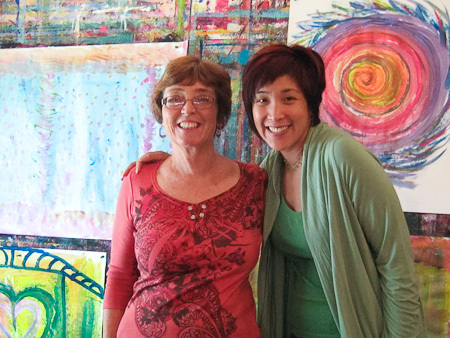 Jennifer Lee is a certified coach and certified Expressive Arts Facilitator who believes in living life in full color. The intuitive painting process helped her get through writing her first book The Right-Brain Business Plan. Seeking more creative juice? Want a deeper connection to your intuition? Ready to step into your authentic power? 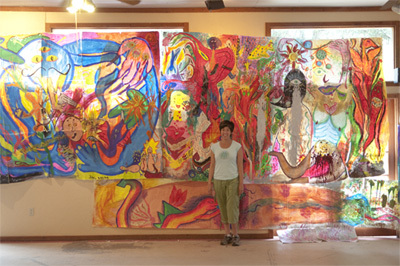 Experience the delightful wisdom of your inner muse through the magic of intuitive painting. No art experience or skills needed. Allow yourself to take up space and be BIG! Surprise yourself with how much fun it is to become a kid again! 20 fun handwritten and painted pages to guide you through the intuitive painting process. 2 videos: one to welcome you to the playshop and one to explain the intuitive painting guidelines. 2 audios: one to help you get into your body and one to help you journal your reflections. Lots of creative inspiration, exercises to get you unstuck, and colorful photographs to spark your inner muse. 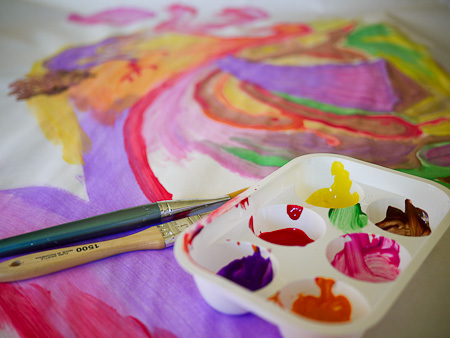 A resource list for Expressive Arts and intuitive painting information. 5 follow-up inspirational prompts sent to your inbox to help you deepen your experience and learnings. I. LOVE. THIS. E-BOOK. Like, I love it so much I want to marry it. Playtime With Your Inner Muse is an excellent *handbook* on Intuitive Painting! Jennifer touches upon the many ways the fear gremlin likes to show it's gnarly face and helps you work past it. Her instructions are clear, encouraging, and most of all inspiring. I'm definitely telling all of my FEARLESS™ Painters to grab a copy! "Insightful. Profound. Delicious. Seriously beautiful. Use this gorgeous playshop to ignite your wild creative fire, step into your magnificent power & start making some incredible miracles happen in your life." "I loved being immersed in my right brain as I worked through Jenn's intuitive painting process. I left my inner critic locked away in a drawer and gave myself permission to just paint and paint and paint- it felt difficult at first, but then something happened - I felt so free and exhilarated that random playful brushstrokes started to flow. It almost felt like I was meditating with my paintbrush. This process really helped me get back in touch with a creative part of me I didn't even know was hiding, my inner muse finally came out to play and I can invite her out whenever I like now - thanks Jenn." Download your e-book now and make a play date with your inner muse!